From multiple accounts, the temperature at the start of fermentation is key in controlling the flavor nuances of various yeast strains. Even if you have an elaborate system of heat pads, blankets, towels, water buckets, etc. that allows you to hone in on your desired temperature, it can’t react to changes in your fermentation. If things start to really heat up overnight while you’re sleeping, or during the day when you’re at work, you’re out of luck. Once you start caring about fermentation temperature, it doesn’t take long before you conclude you need something that has its own control to adjust and react to temperatures in real time. 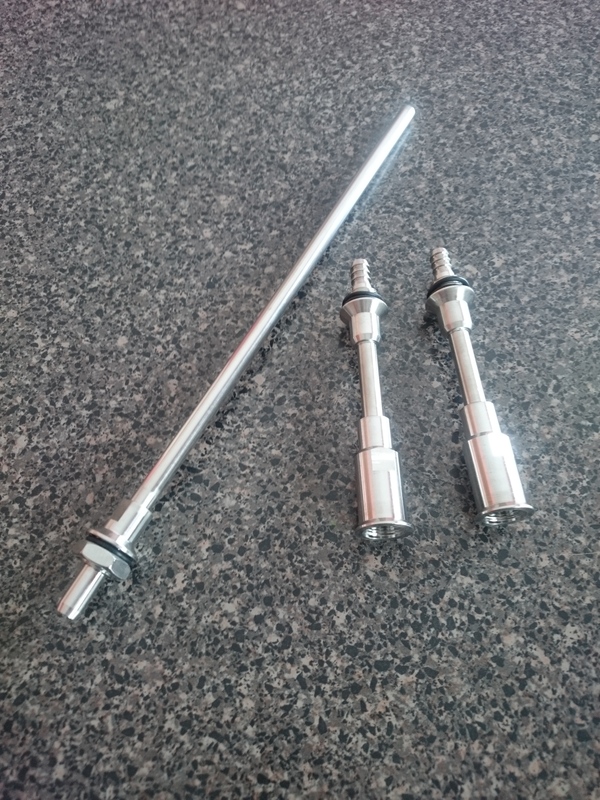 Brewtech makes systems specifically designed for their stainless fermentors. “FTSs” is a cooling-only system, and “FTSs2” is cooling + heating temperature system. 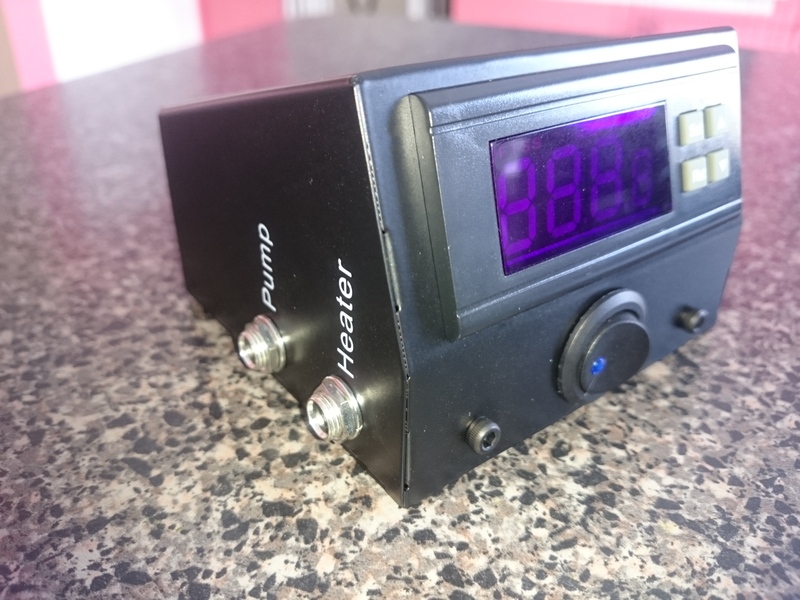 There is a digital controller that displays the current temperature (to a tenth of a degree), fitted with a hard-wired temperature probe. The probe slides down into a stainless thermowell that passes through the lid and reads the temperature down in the middle of your fermenting wort. The controller reacts to readings to turn on your cooling water or heat pad, as necessary to maintain your set temperature. Heating is accomplished by a 60W heat pad that has adhesive on one side. You stick it on to the outside of Brew Bucket, down at the bottom of the cone and then pull up the neoprene jacket to cover the whole body of the fermentor. The heat pad is strategically placed to make use of the “heat rises” phenomena and ensure when running in heating mode you get the heat/temperature to pass through your entire volume of fermenting beer. 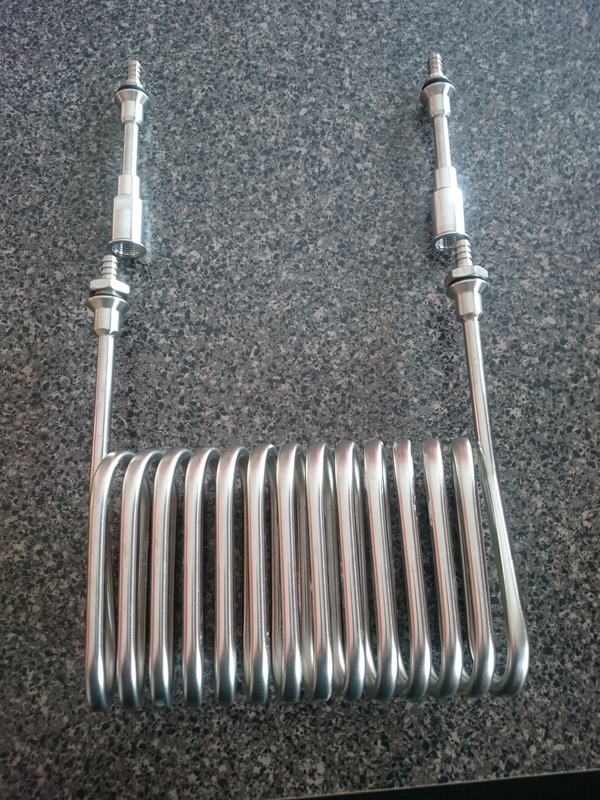 The cooling is accomplished with a coil of stainless tubing that, like the thermowell, passes through the lid. This coil then gets connected via plastic tubing to your cold water source. Typically that’s a cooler filled with a few gallons of water, and some ice. 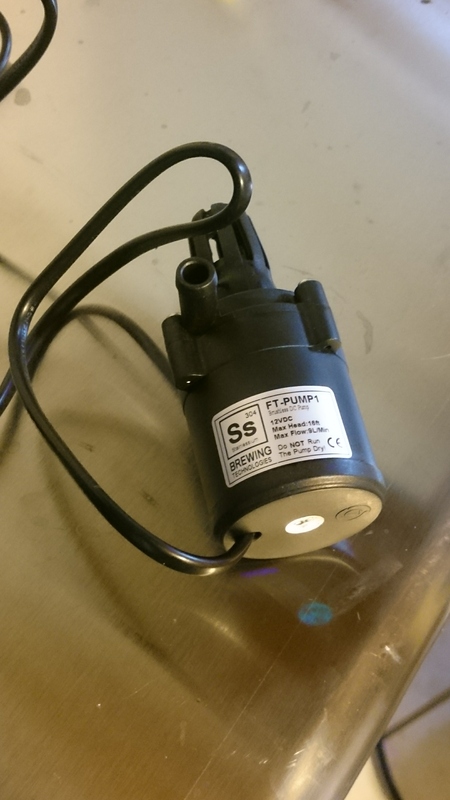 One hose attaches to the small submersible pump, the other is just a return line to dump water back into the cooler. 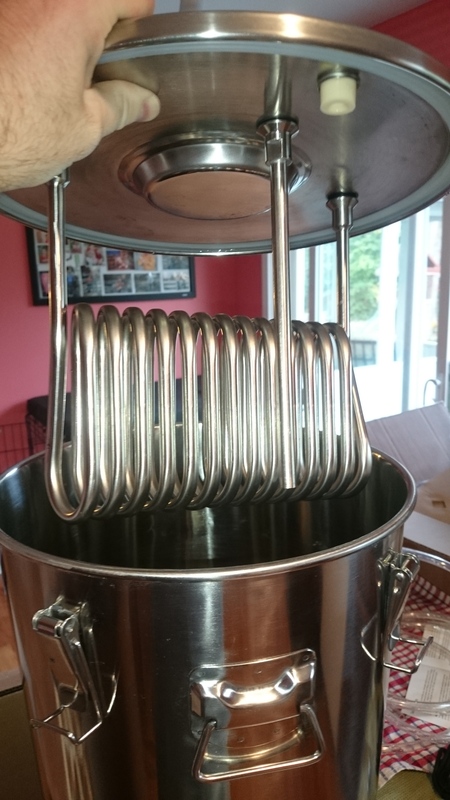 The base coils and thermowell extend down to about the top 1/3 of the 7 gallon Brew Bucket and work well for a 5-6 gallon batch. 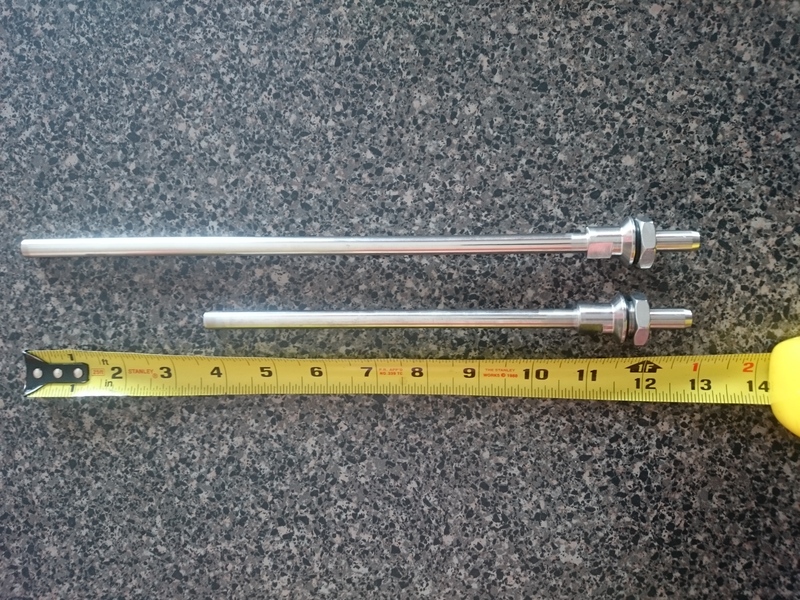 But if you’re doing a smaller batch, they offer a longer thermowell and a couple of extensions that screw onto the cooling coil to get it lower in the fermentor. With these, you can ferment 3 gallon batches in the 7 gallon Brew Bucket, hence making it more versatile. The quality of the Brewtech gear is top notch. It is well made, and built out of good quality materials that look like they’ll stand up to heavy use for years to come. Which is of course what you want when you’re spending your money on brewing gear. As gentle as we treat it when it’s brand new and coming out of the box, we all know that in the heat of a brewing crisis, you’re worried about saving your beer and don’t want to worry about unreliable equipment. That’s when you appreciate spending the money. The system sets up easily/logically so you can quickly start temperature control on your wort. Putting the heat pad onto the conical with its sticky glue on one side was a bit stressful. I didn’t have any troubles doing it, but I felt a lot of pressure to get it on there right since it’s a strong adhesive meant to be placed and left permanently, and I didn’t want to blemish my beautiful Brew Bucket if I had to adjust it or anything. But in the end, it went on fine. It did seem weird to have the heat pad permanently glued on the outside of the fermentor, which means if I need to clean the exterior, it’s now a bit trickier. The heat pad is water resistant, but not waterproof. With the 7 gallon Brew Bucket, there should be plenty of headspace to avoid an over-active fermentation creating an external mess, though. And speaking of cleaning, it was super easy. Of course that’s one of the strengths of Stainless Steel. But the coil loops are easy to access and you can easily clean in between coils with a simple sponge- no custom brush needed. The controller is simple to use. You simply hit the “Set” button and then the up and down arrows to set your desired fermentation temperature. There are some advanced settings where you can change how much of a temperature difference you see before you kick on the pump to chill or heat pad to warm, but the base value is 1.0 degree. That’s the value they found is the best compromise between temperature control and constant cycling. If your fermentor sees a big environmental temperature change and you need to switch between heating and cooling modes, it will automatically handle that. There is a delay time you can adjust (default value 5 minutes) if you feel like tuning it. I used a 10 gallon cooler filled with a couple gallons of water and 5-6 frozen 2L bottles of ice and was able to easily chill my beer down to 50F and maintain it for lager yeast fermentation, in my 63-65F basement. I also used it to jump start my cold crash when fermentation was finished. It took my 3 gallon batch from 68.5F to 41F in 5 hours, and a 5 gallon batch from 51F to 39F in just over 2 hours. I was surprised because the neoprene jacket seemed pretty thin. As far as temperature control accuracy, it ran within about 1-1.5 degrees from my set temperature. I thought that was decent, but some of my other fermentation temperature control seemed to be a bit tighter, staying within 0.5 degrees above or below set temperature. However, I found while testing with an independent temperature sensor in the wort, that it matched the Brewtech’s temperature probe reading. Meaning the temperature I set on the controller was the temperature I got in the beer. Other temperature control systems I’ve used tended to have an offset up to a couple degrees warmer during heating cycles. I think the well thought-out positioning of cooling coils up high and heat pad down low lead to a better temperature balance throughout the fermentor. Overall, the system works very well. Build quality of the system is top-notch. Changing out frozen 2L bottles of ice once a day gets old, but knowing you’re getting great temperature control out of it lessens the sting. 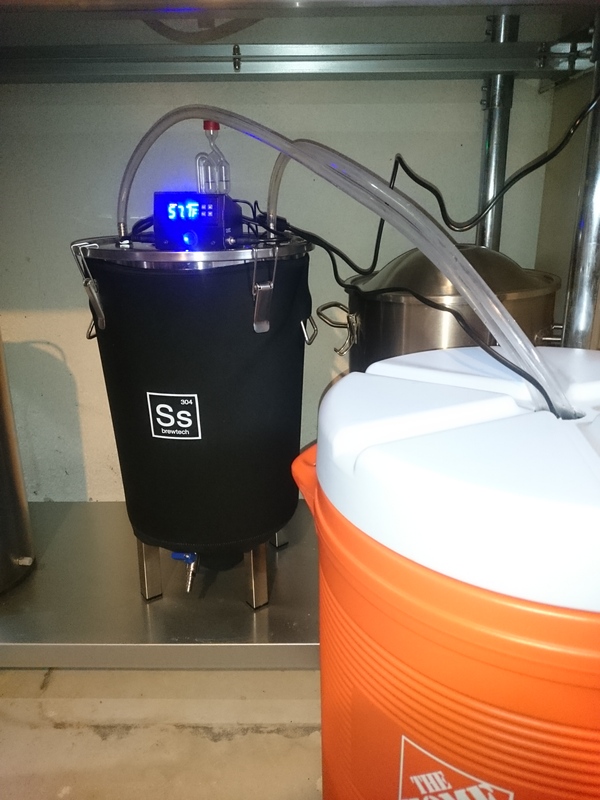 Adding the FTSS system to the already great Brew Bucket stainless fermentor is a very strong addition. 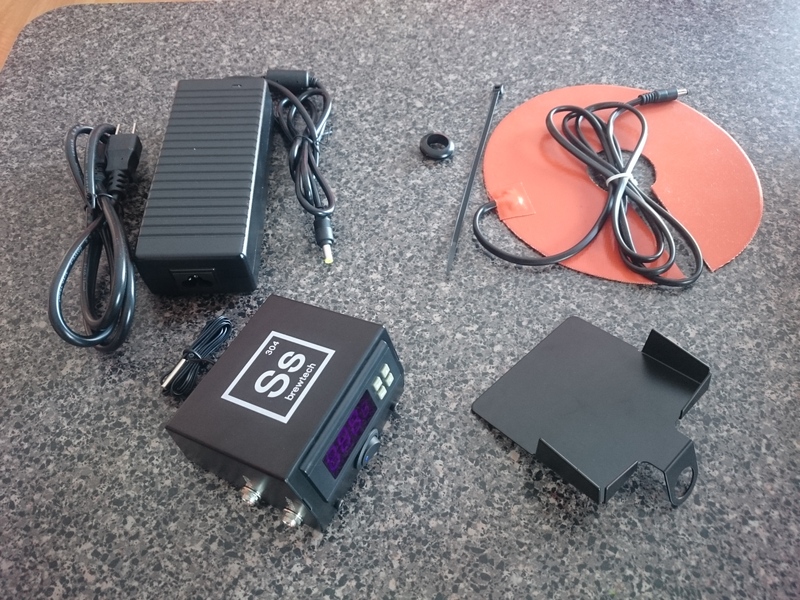 I would definitely recommend going for the FTSs2 to get heating & cooling control right from the start. Otherwise, you’ll end up wanting the heating control soon after you start using cooling control. Fermentation temperature control is addictive! Special Thanks to Ss Brewtech for providing the unit used for evaluation in this review. This entry was posted in Featured Reviews, Fermentation, Great Deals, Reviews, Reviews & Top Posts, Temp Control on April 20, 2018 by admin. For anyone else contemplating getting this, SS Brewtech suggested a good method to me that doesn’t permanently attach the heating pad. Since the heating pad is bigger then the 7-gallon bucket’s cone, it wraps around and overlaps a bit, that allows you to adhere it to itself only and leave the backing that covers the adhesive on the rest of the pad. Then when you put on the neoprene jacket, that will hold the heating pad in place. Maybe a picture of it installed would show the overlap better than I can describe.